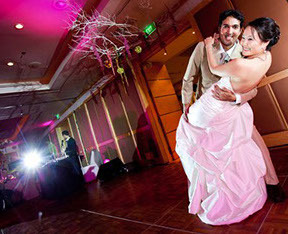 Bring brilliance and entertainment to your wedding first dance. Impress your guests, enhance your photos, connect with your partner, be absolutely present in the love you share. The Dance Loft offers years of experience working with thousands of couples bringing out each one's unique personality in a performance that will not only impress your guests, but bring you and your partner even closer. Our signature program “Partner Flow” which will teach you an elegant entrance, a foundation of 8 positions, which includes fun basics intertwined with exciting patterns, spins and turns, and a grand finale with a big dip. You will learn how to look natural, making you feel relaxed, comfortable, and confident, like you've been dancing your entire life. 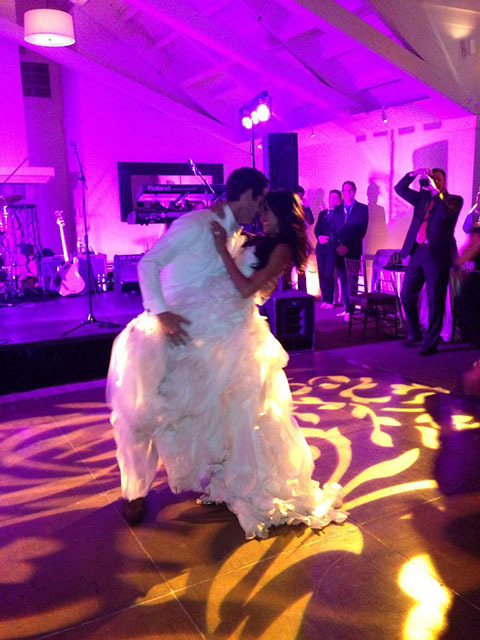 Each dance is custom crafted to your musical style and personal taste. With more lessons you can have a fully choreographed routine which will “wow” your guests for years to come. Allowing enough time to learn and practice together will make the dancing more fun, graceful and relaxed. Starting at least three months prior to the wedding day is highly recommended. A more in depth understanding of the give and take needed to create a dynamic dance, and a much closer connection between you and your partner. Stretching to bring together breath, stillness and connection during a very busy and often stressful time. Solo movement and partner dancing to the rest of the music that will be played the night of your wedding to bring even more fun to the dance floor. The teachings of body and love languages in motion - a program to bring forth tools to enhance a loving, and enriching marriage to last the rest of your lives! Connect with your partner, learn how to pose and move with grace for your guest and photographer, and get hooked for more. We recommend five lessons in order to teach an elegant entrance, a core base, which includes fun basics intertwined with exciting patterns, spins and turns, and a finale with a big dip of course! Exclusive use of our studio. Depending on demand, your lesson may be shared with another couple, if you DO NOT want to share the space, these lessons are for you! Would you like to get more comfortable dancing with your mom or dad without the added stress of learning a choreographed routine? Are you looking for a package that will get you moving freely on the dance floor and having a blast with your mom or dad? Then this package is for you! Book Today! Father / Daughter. Mother / Son. Or any other family combo you can think of, we’ve seen it all! This one is for you Groom! Do you want to show off your skills like only you & your crew can do? Would you like to surprise your bride & bring the house down with some good laughs? Would you like to have a fun night out before your wedding with your groomsmen & pseudo-boy-band-friends? Look no further! Book Today! Bruno Mars, Tim McGraw or Jay Z, we can work with it all! Hey Bride, wanna shake things up on your big day? Want to continue the fun and laughs all the way through to your wedding reception? Then this package is for you! Show off the ladies in your bridal party with a fun and fabulous routine that will wow your groom & your wedding guests! Clients have told us this was a brilliant way to create bonds between their bridesmaids as they worked & played together towards a common (yet hysterically fun) goal. You’re guaranteed to feel closer than ever to your bestie’s when you join together & perform on your wedding day! Beyonce, Taylor Swift, Lady Gaga - we’ve got you covered! Bride and Groom - Would you like to get all your crew together for a fun night out dancing, laughing and connecting before the wedding so that everything flows better the day of? 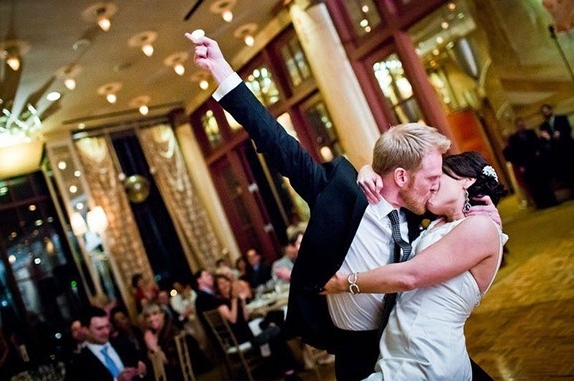 Would you like to surprise your guests with a fun dance routine to get the party started? Would you like to be more polished and organized when it comes to introducing your wedding party? ENHANCE & BRUSH-UP - for couples who already dance but want to review, polish, enhance their steps and perhaps add a little material or patterns to their already existing repertoire. Father-Daughter Dance, Mother-Son Dance or teach your entire bridal party! Ladies - Release the goddess within! Sensual movement and pole dancing for Bachelorette parties – book now! Teaching at your wedding for your guests entertainment.